Golden Pelican Our records show that this inn is closed. Villa Toscana Our records show that this inn is closed. Honey Oak House B&B at Laraneta Vineyards Our records show that this inn is closed. Bridge Creek Inn Our records show that this inn is closed. Morro Bay bed and breakfast travel guide for romantic, historic and adventure b&b's. 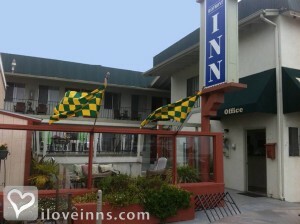 Browse through the iLoveInns.com database of Morro Bay, California bed and breakfasts and country inns to find detailed listings that include room rates, special deals and area activities. You can click on the 'check rates and availability' button to contact the innkeeper. Morro Bay residents are right when they claim that their town is postcard perfect. This town in California simply offers one of the best views in the Pacific Coast. In fact, many pictures taken from the Morro Bay sunset have amazed people all over the world. Getting to the town is easy and booking a reservation in a Morro Bay bed and breakfast inn is even easier. While here, tourists can go to the Morro Bay State Park and have fun at its great beach. For those who are avid bird-watchers, they may also bring their binoculars and cameras to Morro Rock where they can observe peregrine falcons, herons and egrets. If not. they can go to the Heron and Cormorant Rookery which is at the Morro Bay National Estuary. There are many enjoyable things to do before returning to your Morro Bay bed and breakfast accommodations. By Blue Sail Inn. Travel west of San Luis Obispo on world famous Hwy 1. Morro Rock is adistinguishing feature as well as quaint shops, restaurants and hotels. The waterfront estuary is a bird sanctuary, seal and otter habitat and kayaker's dream. Enjoy hiking around this quaint village and leave your car in the parking lot. By Front Street Inn & Spa.